You know, I can think back 18 years, to a time when SFO was just an idea. When no one on this planet even knew I wanted to create it, When it was nothing more than a hidden thought at the back of my mind. Something to toy with during spare time, as just another "what if" dream. But then I had to build it, the same way you would build a house. I started by researching the materials (in my case, it was technology). The choice was simple because there was only one: circa 2k1 Macromedia Shockwave. Nothing else could have pulled it off inside the browser, all tailored towards the predominant dialup infrastructure of the time. And once I had the tech down, I built the foundation, the roof and the walls. I remember when Lefty and I ran one of the earlier builds that had no authentication and no collision in it. It was just 2 Ryu's throwing punches and hadoukens in the air. But it was a working proof of concept, and we all felt like we were nearing the time to open the doors of SFO to the public audience. In the first few weeks of August 2k1, most people can't even imagine what the game was like back then. There was ZERO security, and ZERO ways to punish anyone. It was a fun FREE game, with no ads and no hidden fees. Lefty and I ran all of the servers, and all of the operational costs came straight out of our pockets. There was simply no need to enforce anything, since all players who tried the game were very polite, respectful and grateful for the opportunity to play a free game. SFO (which was called XvsSF back in those days) was just a fun place to be. It felt like you were going over your friend's house to play the nintendo with neighbors and friends. The entire community felt welcoming, accepting and fun to interact with. You couldn't find a single jaded player. Everyone was just happy that they got Ryu for free in their browser. And then the hackers came ... the first thing they tried to do was impersonate me, and to cheat in the Top Scores. The free-for-all open-house policy of SFO wasn't working, so new security measures had to be created. These included the ability to eject players (we still couldn't ban anyone) as well as endless hours spent on a custom 128-bit encryption (which is still used by the game to this very day, and which has never ever been cracked since its creation). 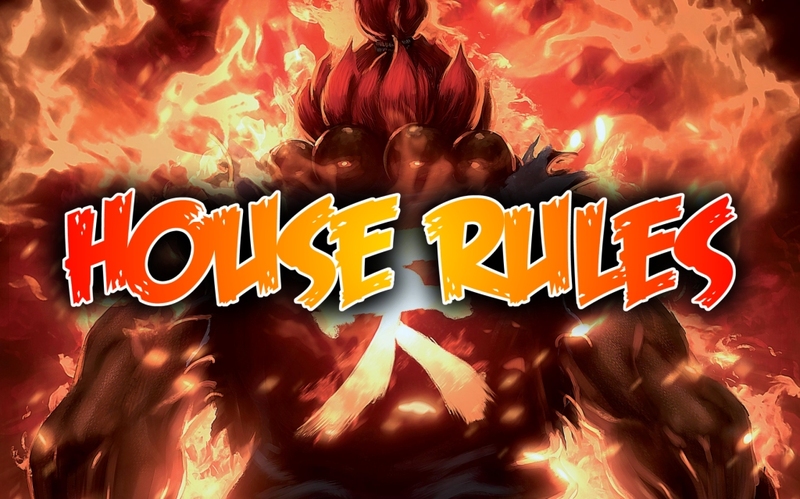 But as the years rolled on (and the percentage of evil within the community grew) we had to change our House Rules once again. Things got stricter as bans and profanity filters were added, but the civil order within the community was always maintained. All the extra headaches were of course offset by the amazing volunteers. These were regular players who decided to devote their own time (and sometimes donations) towards improvements, progression and upkeep of SFO and the entire community as a whole. We never made anyone sign contracts, or force them to work. Everyone was mature enough to understand their role within the community as unpaid volunteers, who under their own free will, WANTED to help the community and WANTED to spend endless hours tinkering, improving and aiding with all things SFO related. And best of all, they were all GRATEFUL for the opportunity which was given to them, and very few took their staff perks for granted. But as time went on, the percentage of jaded players within SFO continued to grow, and it became harder and harder to maintain order. But even then, even during our darkest hours, I always felt like SFO was still a home to countless number of amazing people and amazing players. The turning point came on May 26th 2kX, when the admin by the name of system4 decided to go postal ... blockattack and vipkiller123 were the first to message me about it and i told them that I DIDN'T BELIEVE IT! There was just NO way! It was someone else! His account must have been hacked! system4 and I go way back ... He used to send me latest builds of his FPS game, AND he was the only developer in this world, to whom I have given access to the Vindicator SDK ... not to mention that back then, I also hooked him up with the latest and greatest version of the Unity3D engine, so that he himself could make history as a game designer in his own right. I really can't describe of how I felt the day he betrayed me. To this day, no one in the history of SFO has ever managed to wound me more than him. All the hacker clans combined could not have done more damage than system4. This guy was the closest human being given to this community that could have ever taken over the coding of the game. Hands down, there was NO ONE more skilled than him. He alone made a multiplayer FPS game, a decade before I tried to do the same. And at such a young age, that boy had so much promise and a bright future. And there he was, destroying it all the same way he destroyed those irreplaceable TMC and Creed records. But maybe back then he simply didn't understand. Perhaps he just needed to get his source code chewed down by a dog before things became more clear. We all have our own path in life I suppose. Just so you all know, all of the sysops begged me not to let them back into the community. blanka09, Nferno, TFist, Blade, Lefty EVERYONE ... they all said: "WHAT ARE YOU DOING TMyApp? DO NOT LET system4 AND totalreincarnation BACK into the SFO!" ... but I didn't listen to them. I thought that with time, people could grow up, mature, and change. I thought that time could heal past wounds and past conflicts, and that as mature human beings we could all make a fresh start no matter what. And as it turns out, people do change. They change for the worse. Speaking from the point of the OLDEST resident in this community, and the grand-daddy of them all ... as I look back on the last 17+ years ... I'm not going to say ALL, and I'm not going to say MOST. But I have to say that a LOT of you have changed for the worse. Back then, when you were 16, I knew nothing about you. I didn't know your race, creed, background, age or anything else in between. You were what you called yourself, and that's all that any of us saw. And from behind that name, came words and actions of someone who was much more mature for their age. They were the words of a respectable young adult, that was a model staff of not just this community, but ALL other communities. Back in those days, I still thought we had the BEST staff compared to anyone else. And the idea that one of them would one day betray me, was simply impossible in my mind. Anyone still remember the TMyApp appreciation threads? As far as I'm concerned, NO community in the world did that, and you know what, I appreciated the gesture every single time. And you all knew this, because over the dacade(s) I've spent countless upon countless hours (and dollars out of my own pocket) supporting a project, a community and a game ... that I don't even play myself. That was back then. Now instead of appreciation threads, we have 1hitta and lux destroying the SFO forum in tandem, as other mods and admins watch on ... NOT a word said, except for the hate spewed by those who used to call themselves my most trusted of admins ... and don't tell me you didn't know anything about it, because in this community, rumors travel faster than hadoukens. One interesting point I noticed about the characters in question, is that most of them go silent right before they go postal. Back in the day when they were 16 year old kids, they would message me anytime and any day ... start conversations about anything and everything ... now the same people who used to talk to me on the phone and say that "they will ride with SFO until the end" are the same people that won't say a word ... instead, they harbor hate and animosity inside their hearts, waiting for a moment to release them. They poison the minds of other staff and players with useless lies about myself (and the community). Then brag about it with ICQ messages relayed through other players (even when I have them blocked and ignored). When you stopped agreeing with SFO, or the decision making process behind each update, dream and event ... at that same moment, you have stopped representing both myself and the community .... and as such, you have forfeit all of your staff perks and privileges. The smart and the mature thing would have been to make a retirement thread ... but the cowardly alternative, is to go silent, pretend like you are still part of this community ... only to gloat as SFO crashes and burns at the postal hands of those who said they are going to protect it? Whatever made you this way. Whatever harsh times you've faced. They have taken from you more than you realize. But take this advice: you are no longer 16. You have responsibilities, work, family, and everything else in between. Why are you still wasting your life on a 17+ year old browser game? Get a (better) job. Take care of your kids. And take all that hate and disappointments of your entire life, and channel them somewhere else ... anywhere you want ... except here. We had some amazing talent who joined us over the years, and those who stood by, for more years than we can count. Aside from irreplaceable legends that have been non-stop mistaken for being me (aka: Blanka, Nferno, TFist, and even Blade). A number of others also stood out, like SSJKarma ... in fact, Karma and I go way, way, WAY back. But the friction he and I faced, is also ancient. From day one, there was just something about Karma. Maybe it's his rebellious ways, or maybe it's the way he first speaks without thinking twice. But talent and dedication wise, he had it going on. And each year, the active sysops of the time have always discussed: "Are we going to promote Karma?". And all of the sysops have always agreed on the same point: he is VERY talented, VERY passionate and VERY persistent. You can ignore Karma for a year or two, but he'll just spend that time on his next TMC script. And man could that guy code TMC. Karma is the ONLY person in the history of SFO that was able to make TMC do what it was NEVER designed to do. That casino of his, I still have no clue where he found the patience to make all that a reality. When so many other staff members didn't even want to touch TMC (even though it was always designed to be "baby's first scripting language" ... which was invented and created by my hands, for the sake of staff and the entire community) ... and yet, all us sysops kept wondering about is: "should we promote Karma?" ... first it was to the position of Admin ... then we all began to toy with the idea of him becoming a sysop ... and the ONLY thing that prevented that from happening ... the ONLY thing that prevented Karma to be included amongst the sysop names above ... the ONLY thing that stood in his way ... was Karma's big mouth. That boy just could NOT fall in line. Some of the similarities in behavour that I noticed with Karma, I also noticed with system4 and totalreincarnation ... all of these people are talented in their own right, but none of them could ever create SFO. If they could, then they would have done it. So instead, I theorize that they all try to live out their dreams through this community, as members of staff. But as time passes, and they realize that no matter how much they try, their views on the game's development are unfortunately different from my views on the subject, and as such, this triggers harboring of hate and animosity, which eventually produces predictable results. This is NOT your game. You do NOT run this community. To simply put: in order for your account to EXIST here, it is considered a privilege, and NOT a right. You are a guest here (the same way you are a guest at someone's house) and you will be reminded of that each and every time you ever think about stepping out of line. When your perks didn't get slammed right away, that's not weakness ... that's mercy which you were too blind to take advantage of. I gave you 182 or even 364+ days, as means to allow for you to change your mind ... knowing very well that you are much too immature to do so. You can't even foresee a circumstance where you would ever see yourself as being "wrong", nor can you ever see yourself apologizing for any offense which you have committed. I knew this, but I still gave you the time to think, and to change your mind. And (in most cases) all of the beef between us, could have been wiped clean with a single apology. In other cases, it would have taken longer, but you still had a chance. HYPOTHETICALLY SPEAKING: if totalreincarnation wrote a different (and honest) apology letter each and every day, how many months would have to pass before I finally caved in? But wait ... I know what your'se saying ... What about the same rules and principles being applied to TMyApp himself? To answer such questions, my advice is to engage the intelligence you have been born with. By using logic, you may be able to realize the simplicity of the situation, and the fact that you CANNOT apply the same rules to me as you would to yourself. Because no matter what happens ... within this community, YOU and I will NEVER be equal ... And no matter of anyone's opinions, spam or hate ... from the start, and until the bitter end, SFO has, and always will be ... MY HOUSE.